This post was sponsored by Goodfella’s. 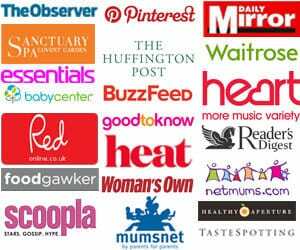 Thanks so much for supporting the blog. My group of best girlfriends and I met at an anti-natal class, when we were all heavily pregnant. Before too long we became friends who waddled and drank tea together, and then, when those babies arrived, friends who compared sleepless nights and pushed prams together for hours. Over the last six years, we’ve been through lots of ups and downs together and we all meet every few weeks for some supper and chit chat. 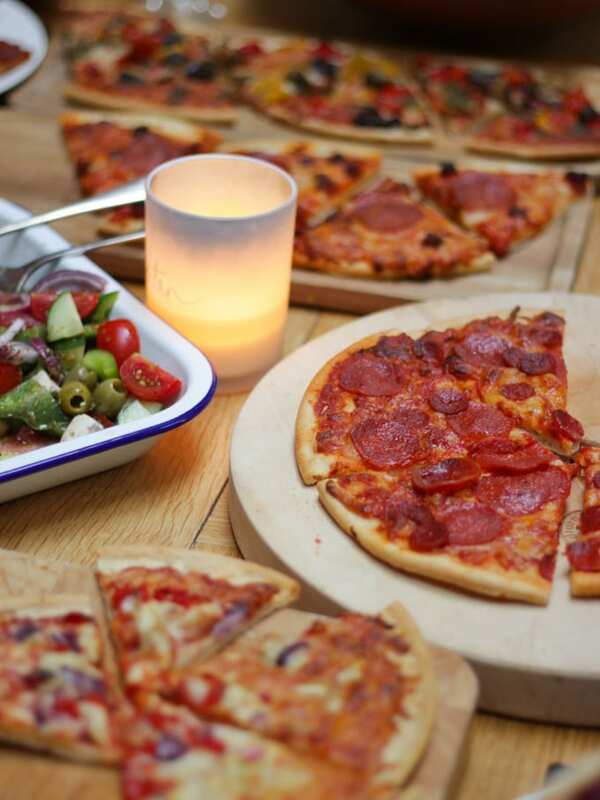 Last week it involved… PIZZA! The people at Goodfella’s pizzas wrote to me recently to tell me about their new range of frozen pizzas, the Romano. Goodfella’s had commissioned a piece of research to find out how much it costs to keep children during the course of a year. Can you guess..? They found that parents will spend a whopping £2,602 keeping their children entertained over 12 months. During the six week summer holiday, which is fast approaching, the total cost rises to an average of £127 a week as parents find ways to stop their offspring becoming bored. So, to help parents save money without scrimping on the finer things in life, Goodfella’s launched the Romano range of premium frozen pizzas. 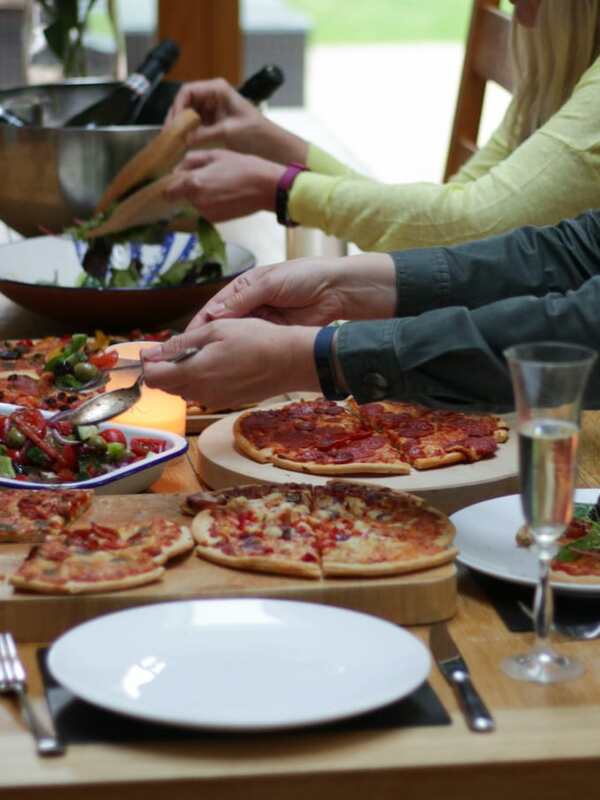 Meaning we can still enjoy our foodie get-togethers with friends, without breaking the bank ahead of the expensive school holidays. 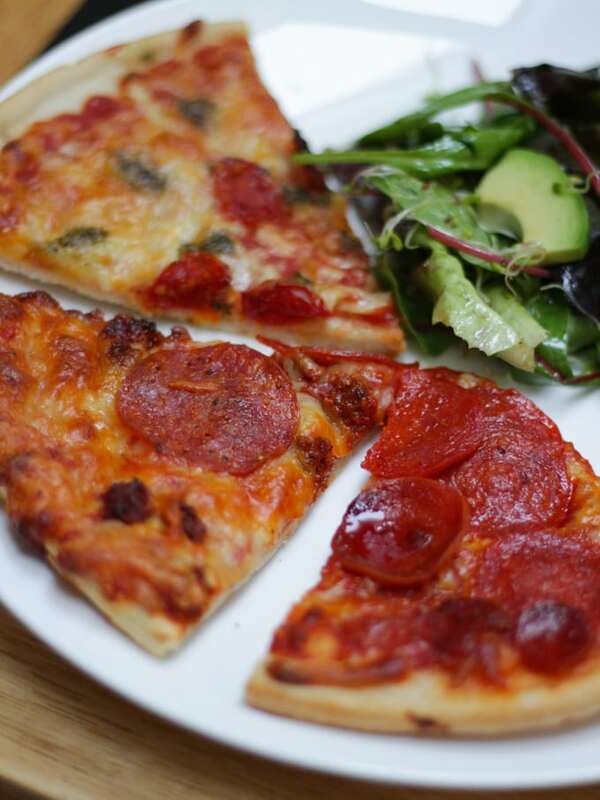 The new Romano pizzas have a stone baked based, and generous quality toppings, all for just £2.50. 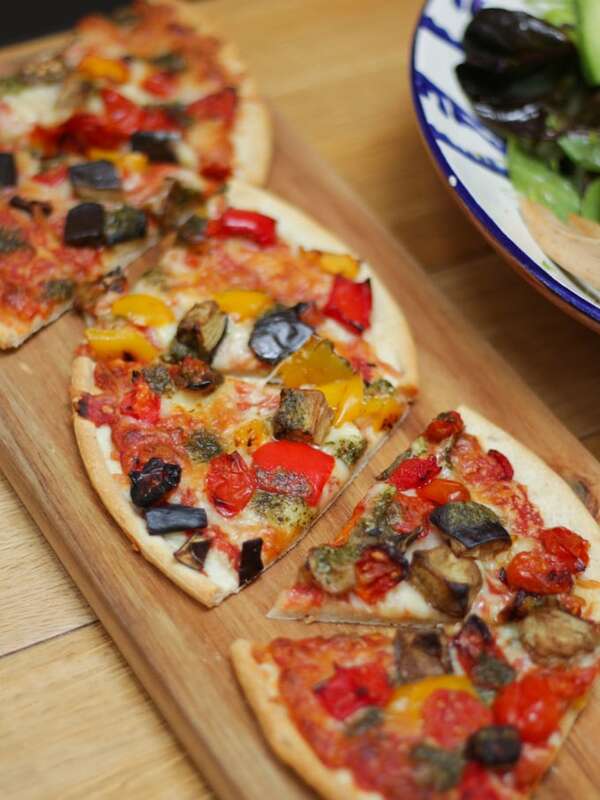 This means that parents like us can serve up really high quality pizzas straight from the freezer, as a fuss-free and wallet-friendly option, rather than going to a restaurant. 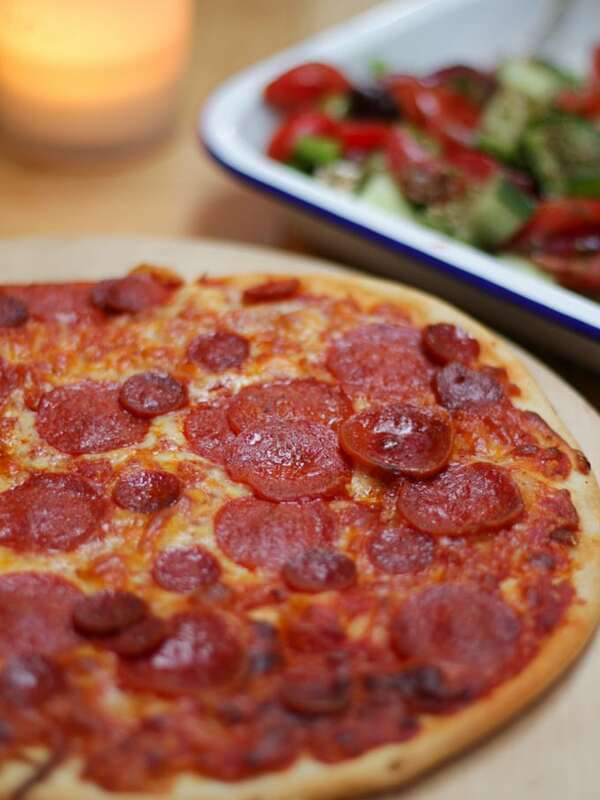 Our favourites were the Salami and Spicy ‘Nduja Sausage and the Chicken, Roquito Pepper. The salami pizza was loaded with spicy, crispy balls of Nduja sausage. Really tasty and a great texture. The chicken pizza was a more delicate flavour, but the red onion and garlic drizzle made it really stand out. On the whole we were really impressed by the Goodfella’s Romano pizzas, especially for the price. 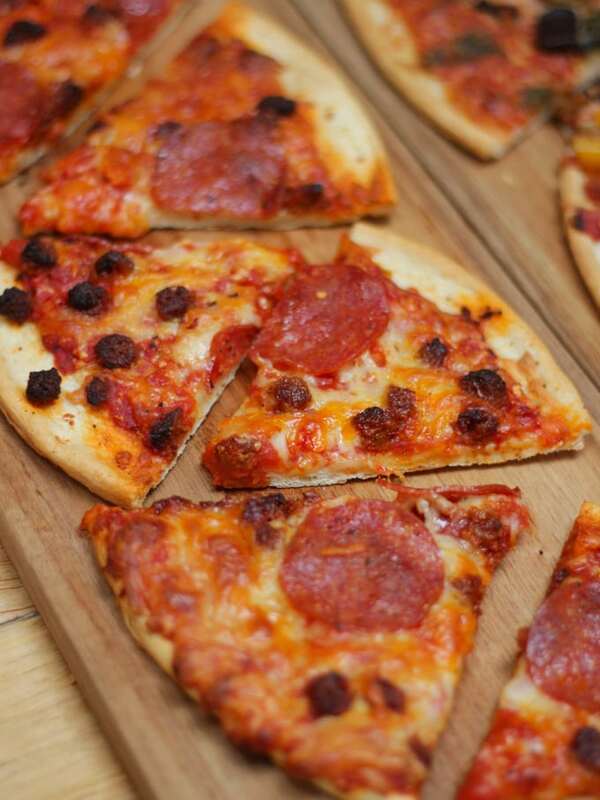 The bases were crispy and light, while the toppings were rich and flavoursome. 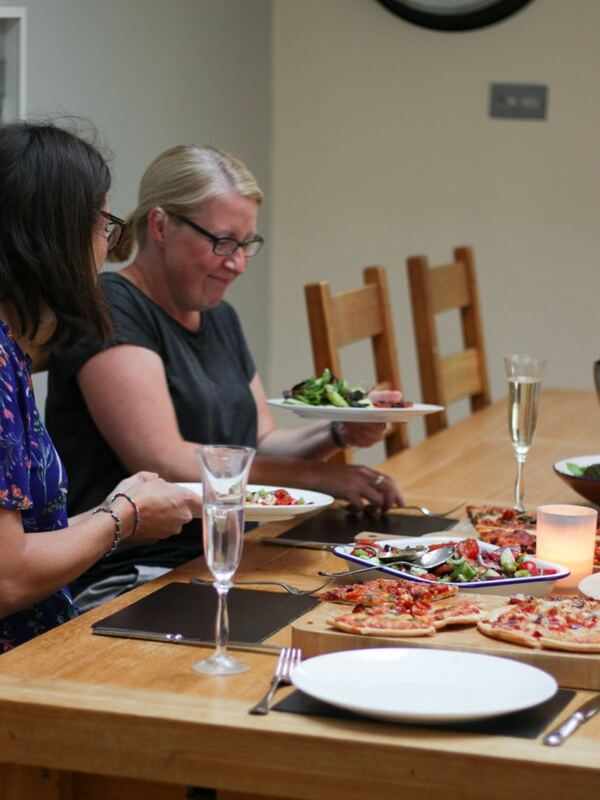 A definite win for our girls supper club. 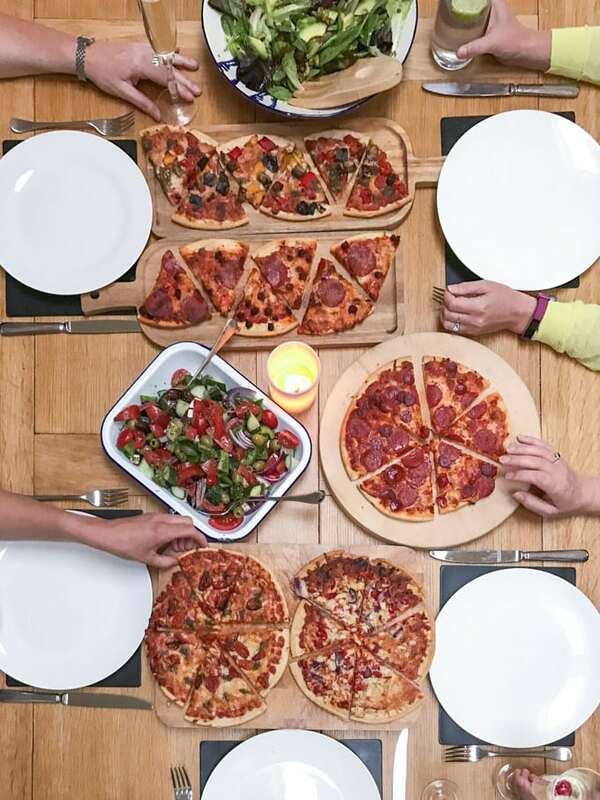 We’re already looking forward to our next pizza party. After all, it’s money saving – right?! Disclosure: This post was sponsored by Goodfella’s, as always, all opinions are truthful.